Today's creation was inspired by CyndiAnne Sanders and it's a beautiful Eclipse Card. 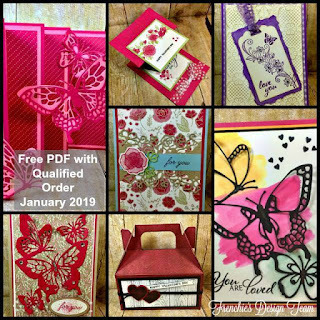 She used the Woods Words Stamp Set and Berry Burst Ink to create her own background paper (love that) and used Berry Burst Cardstock and Ribbon as well. 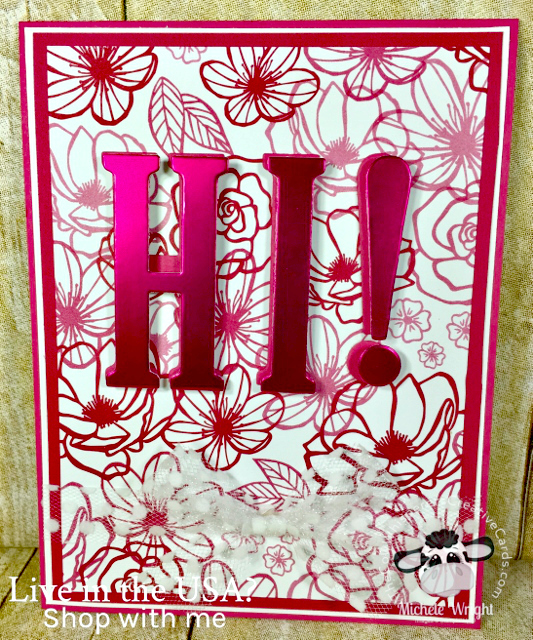 She added a little pop to her card by using Basic Black Cardstock for her background layers. I couldn't resist creating my version of her card using some of our new products. So I grabbed my All My Love Designer Series Paper, Lovely Lipstick, Whisper White and Flirty Flamingo Cardstock for my card. I used the FABULOUS Lovely Lipstick Foil Sheets for my HI (OMGOSH I LOVE THIS FOIL PAPER) and backed it with a Lovely Lipstick Layer. Of course I used our Adhesive Strips to pop up my letters which were cut using the Large Letter Framelits and finished the card off with the ever so beautiful Whisper White Tulle. If you don't yet have the Large Letter Framelits, it's the perfect time to order them. With them and something for a few more dollars you would qualify for 2 - $50 Sale-a-bration items ( like the Grapefruit Grove & Lovely Lipstick Foil Sheets that I used on this card). 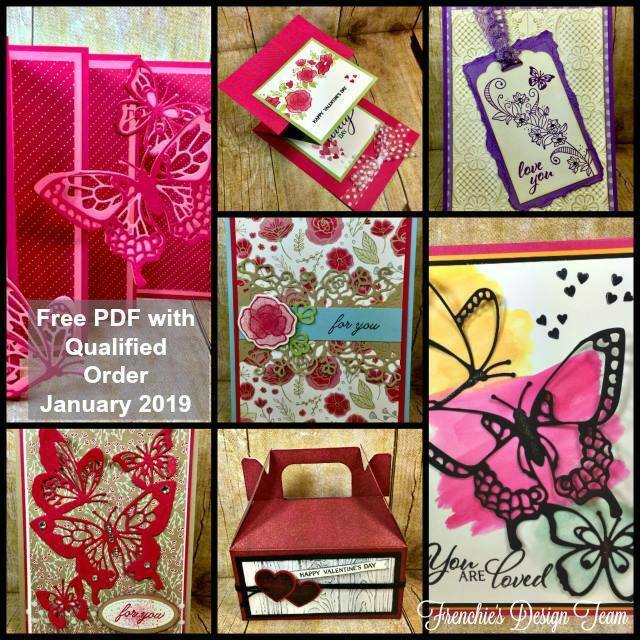 If you have you eye on the Tea Time Framelits Dies or they Lasting Lilly Stamp Set you could choose one of them instead. However, you choose to go, you can't make a bad decision. 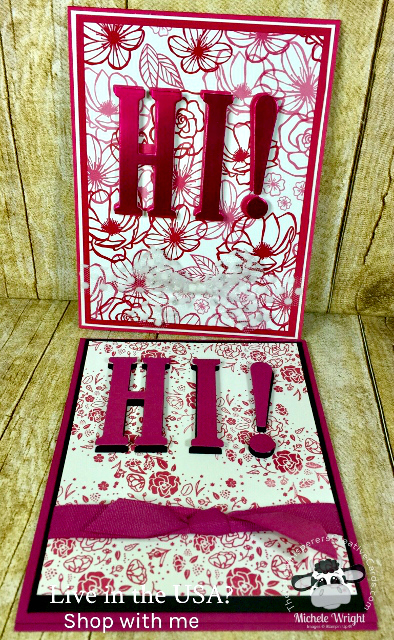 Thanks CyndiAnne for the beautiful card you created below, I had so much fun following your lead. 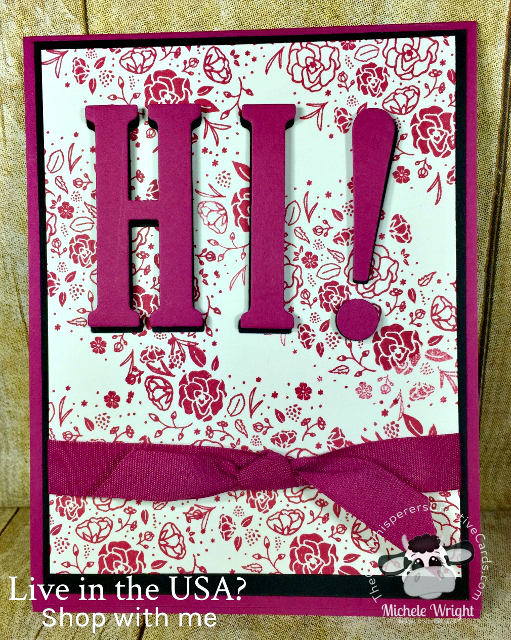 Card Base - Flirty Flamingo - 11" x 4 1/4" scored at 5 1/2"
Second Layer - Lovely Lipstick - 5 1/4" x 4"
Third Layer - All My Love Designer Series Paper - 5" x 3 3/4"
Lovely Lipstick Foil - 3 1/2" x 2 3/4"
Whisper White Tulle - 10"
Large Letters of Lovely Lipstick Foil made for alot of loveliness ! ! !